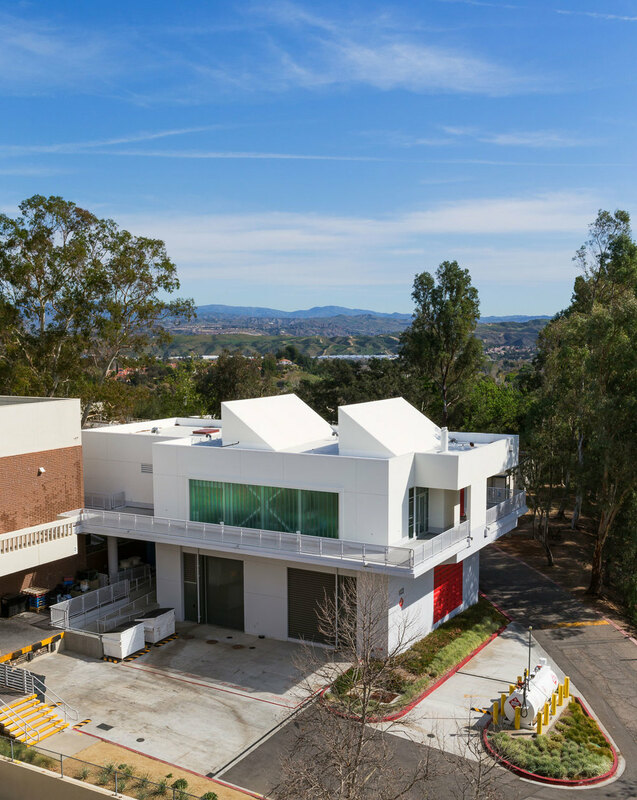 Cal Arts Generator / Classroom Building — Behr Browers Architects Inc. This two story building fulfills multiple campus wide needs. On the ground floor, it houses the primary back up generator for the campus. 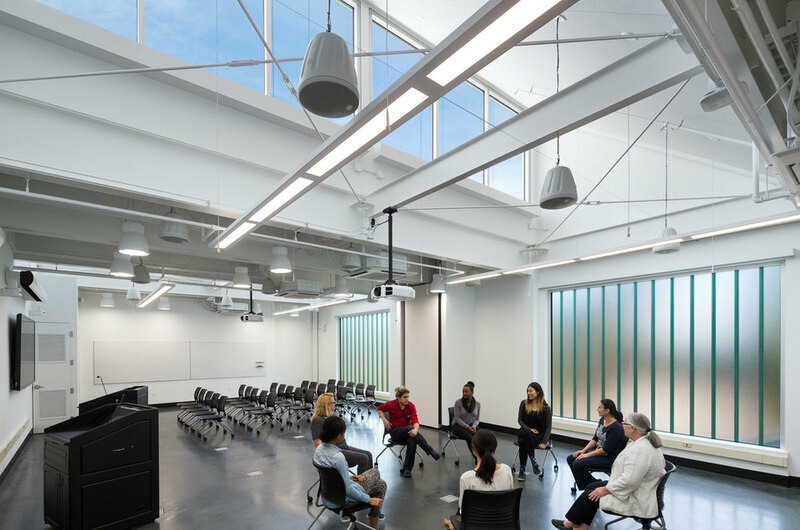 On the upper level, it provides flexible classroom spaces, a faculty conference room, and faculty offices. In addition, its design and layout creates a new upper level pedestrian linkage between existing facilities. 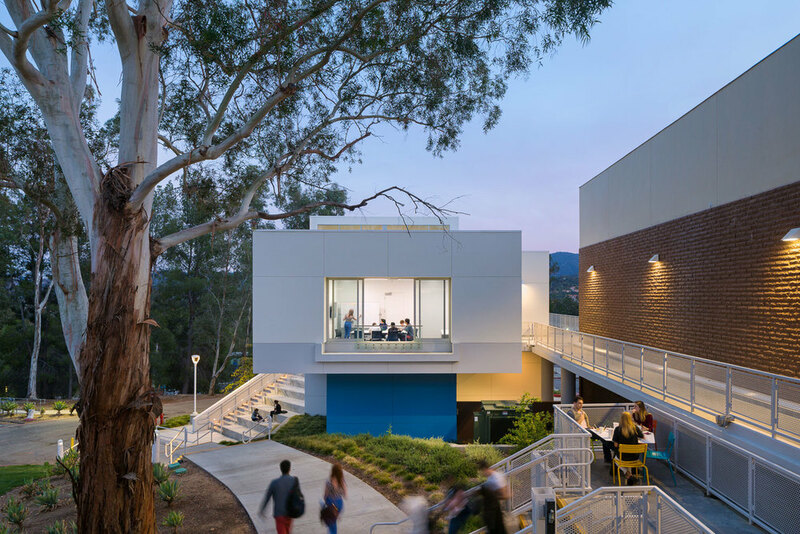 Its sculptural stair doubles as a place for impromptu performances or just a place for students to hang out. 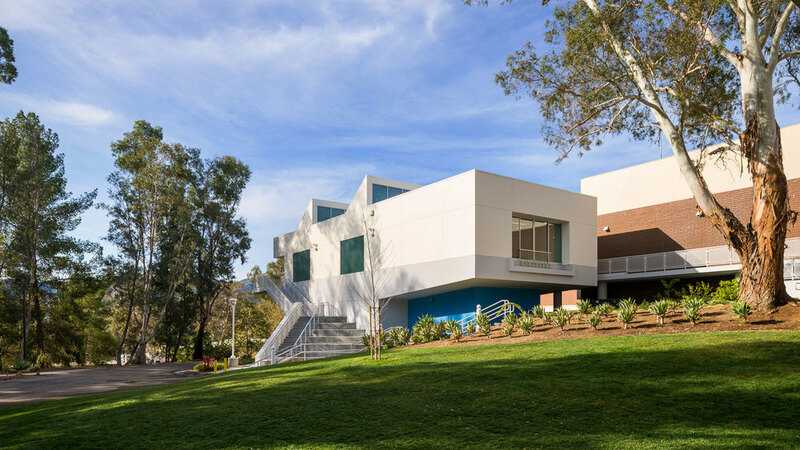 The Generator/ Classroom 6 Building along with the Art Building (also designed by BBA) initiates the transition of a single building campus to a more human scale environment for the students and faculty.